A freshly-submitted patent for Samsung may shed new light on how the company plans to handle fingerprint authentication in 2019. The good news is: It is in the display. The bad news is that it may not be the more state-of-the-art ultrasound version bandied about in previous speculations. The Samsung Galaxy S10 is rumored to come with an in-display fingerprint scanner, a trend kicked off by a Chinese OEM this year. The fingerprint readers found in those phones are optical modules that build up 2D models of prints for authentication. However, it is thought that Samsung may go one better with next year’s flagships and introduce an ultrasound in-display reader for more precise 3D biometric verification. 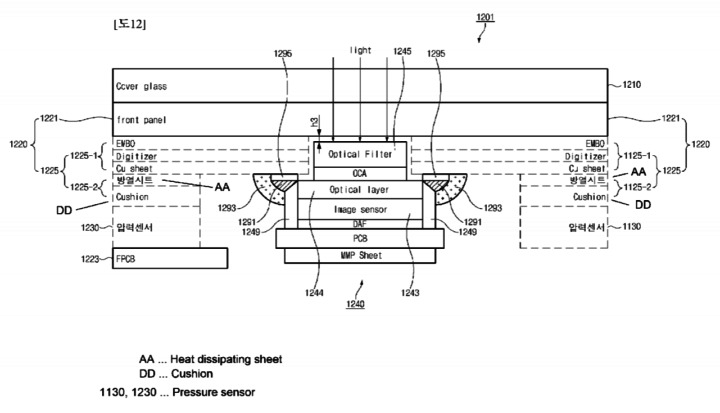 These speculations may have been dealt a blow recently, as Samsung has filed a patent for an under-display scanner that distinctly refers to optics in its schematics. It has been submitted to the Korean patent agency WIPO, and is entitled: “ELECTRONIC DEVICE COMPRISING BIOMETRIC SENSOR”. 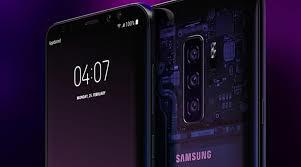 This arrangement of sensors is also pressure-sensitive, as with the home button on the Galaxy S9 and Note 9 lines. On the other hand, there is no direct evidence that this module is indeed intended for the Galaxy S10. It may instead be intended for a less premium device line like the next A, J or even Galaxy P series. This leak comes from the Samsung-focused news resource SamMobile. This site has little other concrete information on the Galaxy S10 as yet. They believe it will have the model name SM-G970F and…that’s all. For now.